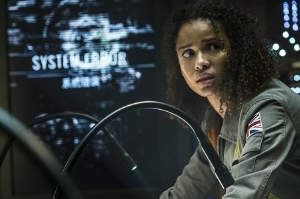 You can now stream The Cloverfield Paradox on Netflix. What a world we live in. Yesterday evening during the Super Bowl, Paramount and Bad Robot revealed the trailer for the Cloverfield sequel along with the revelation that fans would be able to stream the film that very night following the game. Heads exploded. I'll save my thoughts for a mini review of the film tomorrow, but suffice it to say it's worth watching if you like space station thrillers in general. The jury is still out on how the film handles uniting Cloverfield as a franchise.